The history of beer brewing in Oregon dates back to the 1852 opening of Portland’s Liberty Brewery by Henry Saxer. Since then, Portland has become one of the major brewing capitals of the world, home to more than 40 microbreweries today within its city limits. Beyond the big city, Oregon ranks third in the nation for breweries per capita, with more than 140 craft breweries in production throughout the state. While major players such as Deschutes Brewery and Full Sail Brewing Company have become nationally known for their craft ales, these breweries offering public taprooms and restaurants represent some of the state’s best specialty brewers, up-and-coming award-winners, and hidden gems. 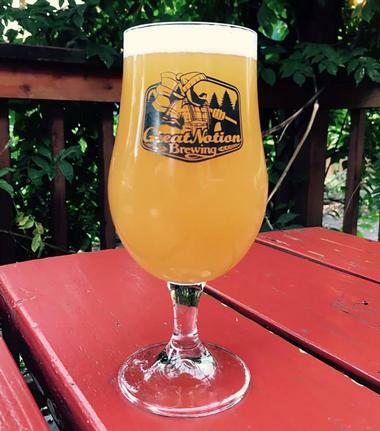 Great Notion Brewing and Barrel House is a Portland-based brewpub known for its award-winning barrel-aged sour ale program, which highlights native Oregon fruit such as strawberries, apricots, and peaches. The brewery was co-founded by Andy Miller, Paul Reiter, and James Dugan and offers two brewpubs with menus by executive chef Ryan O’Connor and a 30 bbl production brewery throughout the city. A variety of hop-forward IPAs are tapped at the brewery, including brews from its experimental IPA series such as its Vanilla Latte Hazy IPA and Mango and Coconut Mochi Hazy Imperial IPA. Unique stouts are also featured, such as the brewery’s Double Stack Imperial Breakfast Stout, which highlights beans from nearby Clutch Coffee. Several guest taps from other local and regional breweries are also showcased. pFriem Family Brewers was the vision of Josh Pfriem, a lifelong hobby brewer who joined forces with Ken Whiteman and Rudy Kellner in 2011 to form a family-focused brewery. The brewery’s taproom opened to the public in August of 2012 and has been named as the Brewery of the Year by the Oregon Beer Awards for its unique Belgian and German-inspired ales that bring a true Pacific Northwest twist to classic styles. 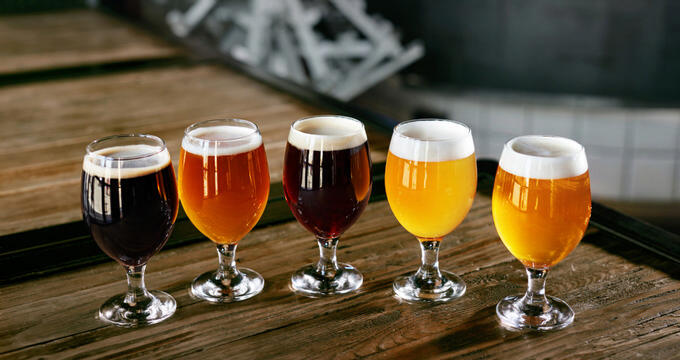 Popular brews include the brewery’s Citrus Zest IPA, Cryo Pale Ale, and Kettle-Soured Mango Berliner Weisse, along with a variety of classic styles such as a dry Irish stout, Helles lager, and Kolsch. A tasting room menu highlights elegantly-crafted fare such as Mediterranean-inspired appetizers, bratwurst, mussels, and poutine and offers several wine and cider selections. Non-alcoholic beverages are also available, including local tea, coffee, and kombucha. Ambacht Brewing crafts unique Belgian-inspired ales with balanced flavor profiles, highlighting Willamette Valley-grown hops and locally-sourced Pacific Northwest ingredients. Each beer is mashed at a low temperature for a dry flavor profile and takes approximately three months to age from brewing time. 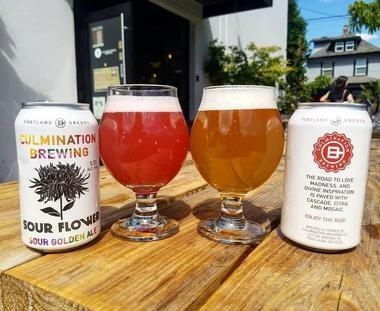 Notable beers crafted by the brewery include its Pie Cherry Pale Farmhouse Ale, its Honey Triple, which is created with authentic Pacific Northwest honey, and its Matzobraü wheat beer, crafted with real matzos. 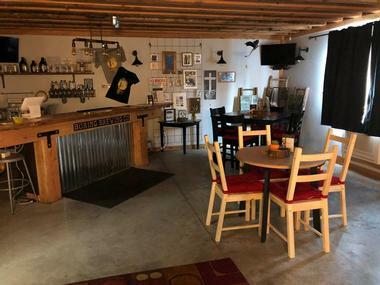 The adults-only brewery is open Tuesdays through Sundays and hosts a variety of public special events, including game nights, and allows guests to bring their own food to the taproom. 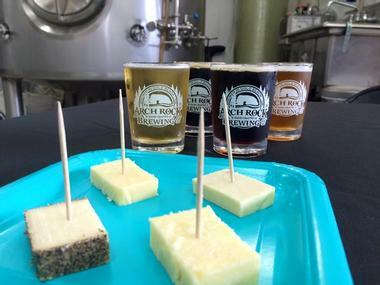 Arch Rock Brewing Company was founded by partners and co-owners Marjie and Larry Brennan, who brought brewmaster James Smith on board prior to the brewery’s 2013 public opening. Today, the 15-barrel production brewhouse distributes beers to bars and restaurants throughout the Eugene and Rogue Valley region and offers tastings and tours at its Gold Beach facility. Three flagship brews are offered, including the brewery’s German-style Gold Beach Lager, Pistol River Pale Ale, and State of Jefferson Porter. 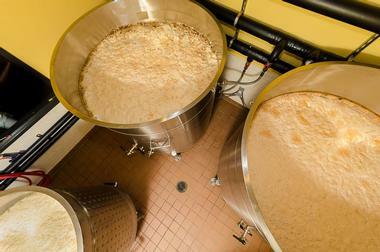 A single batch series also adds additional specialty brews to the brewery’s lineup. The brewery is a partner organization of the Wild Rivers, Wild Brews Coalition, which strives to protect Oregon’s waterways from industrial strip mining threats. 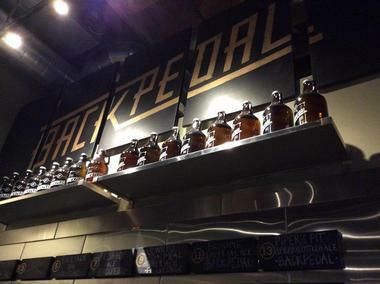 Back Pedal Brewing is the premiere small independent brewery of Portland’s Pearl District, serving as the trailhead for both the city’s BrewCycle bicycle pub crawl and its BrewBarge alcoholic cruise. The adults-only taproom is open to the public seven days a week, offering bar and patio seating, pints, and to-go crowlers. 14 taps stock the brewery’s year-round and seasonal offerings, along with taps from the best of Oregon’s independent beer scene. Notable brews include the brewery’s Taurus Saison, Myst Pale Ale, Nightpunk and Remo’s Jam IPAs, and Black Pedal Stout. Well-behaved pets are welcome at the brewery, and food is available for delivery from a number of nearby restaurants. 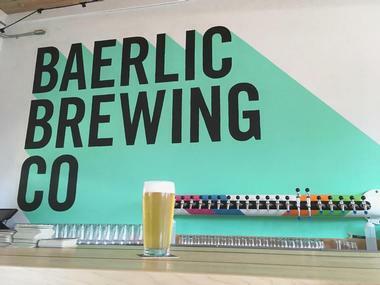 Baerlic Brewing Company is an award-winning Southeast Portland brewery and taproom that is open to the public seven days a week, with family-friendly hours offered before 9:00pm. The brewery was started by Ben Parsons and Richard Hall, experienced amateur brewers who transitioned their passion into a small-scale production brewery. Its name translates to “of barley” in Old English, a reminder that all complex and unique products can be traced back to a single core and ideology. Year-round beers include the brewery’s Dad Beer Pre-Prohibition Lager, New Noise IPA, Eastside Oatmeal Pilsner, and Guzzolene Nitro Dry Stout, while seasonal offerings focus on European and experimental styles. Bar snacks are served at the brewery, though patrons are welcome to order their own main courses from nearby restaurants. A Baerlic Beer School intro to brewing course is offered by the brewery, teaching students the basics of brewing, fermenting, and cellaring. 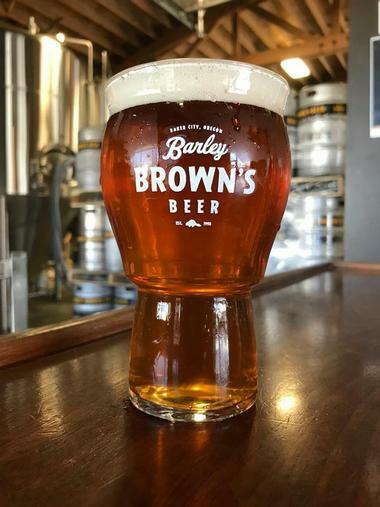 Barley Brown's Brew Pub is a family-owned brewery that serves as one of Baker City’s top tourist attractions. The brewery is one of America’s most decorated microbreweries, having earned more than two dozen honors from the Great American Beer Festival, including the distinction as the nation’s best small brewery in 2013. A production brewery, taproom, and restaurant are offered, serving 33 combined taps of the brewery’s ales, along with several national favorites. Year-round brews focus on hop-heavy offerings and include the brewery’s Jubilee Golden Ale, Coyote Peak Wheat, Tumble Off Pale Ale, and Pallet Jack IPA, the 2013 National IPA Champion beer, while seasonal beers incorporate unique ingredients such as chiles and jalapenos. Standard pub fare and steak dishes are served at the brewery’s restaurant, which often showcases live regional musicians on its stage. 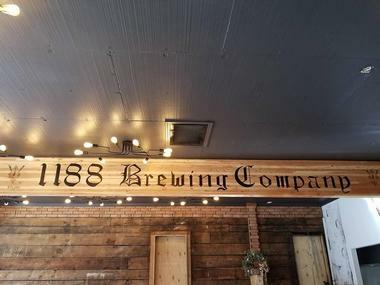 1188 Brewing Company LLC is Grant County’s first modern craft microbrewery, opened to the public in 2012. 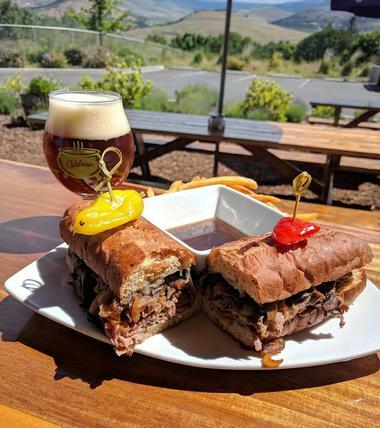 The John Day brewery and pub is a family-friendly destination offering a full lunch and dinner menu of contemporary American gastropub fare, including creative paninis and sandwiches, artisanal flatbreads, and traditional pub appetizers. Seven microbrews are tapped at any given time, with beers rotating through seasonal offerings such as the brewery’s Black Oak Instigator imperial stout, Leafdropper IPA, Orney Hefeweizen, and Rim Rock Red. A hard cider option from regional Oregon cideries is also tapped, and growler fills are available for all alcoholic beverage options. © 7 Devils Brewing Co.
7 Devils Brewing Co. is a family-owned brewery started by partners Annie Pollard and Carmen Matthews in 2013. The brewery strives for sustainable practices and community engagement within its progressive workplace environment, emphasizing social responsibility and superior craftsmanship. All brews are crafted with 100% American ingredients, with most sourced from within the Pacific Northwest. Popular brews include the brewery’s Lighthouse Session Pale Ale, Groundswell IPA, Chinook Redd Ale, and McCullough Mocha Stout. The brewery’s intimate public house is open Wednesdays through Mondays and serves a variety of contemporary coastal dishes, including fishermen’s platters, poutine, and vegetarian options, using locally-sourced ingredients whenever possible. A variety of non-alcoholic beverages are also available, including rotating kombucha taps and a house-brewed extreme ginger beer. Alesong Brewing and Blending is an award-winning brewery near Eugene that blurs the lines between the beer-brewing and winemaking processes, crafting unique small-batch bottled brews utilizing a variety of barrel-aging techniques. The brewery was founded in 2015 by Matt Van Wyk and Doug and Brian Coombs and has received significant accolades from the Oregon Beer Awards, the Great American Beer Festival, and the Best of Craft Beer Awards. Both wild and non-wild beer styles are brewed as seasonal one-offs, focusing on locally-grown fruit and herb flavors and unique yeast and microbe cultures. Light fare is served at the brewery’s tasting room, including wood-fired pizzas by local food vendor Marché on select evenings. Customers may also bring their own food to the tasting room. A variety of public special events are offered at the brewery throughout the year, including an annual summer music series. Base Camp Brewing Company has been serving Portland’s brewery district since 2012, with a crew bringing decades of experience within the brewing industry to the company’s operations. Its taproom is open to the public seven days a week and serves international food options from local food truck partners such as Poblano Pepper and Sherpa’s Kitchen. Popular brews include the brewery’s Moon Dog Dark Session Lager, Harvest Saison, New Wave Amber, Ultra Gnar Gnar IPA, Smooth Hoperator, and S'more Stout. Regular special events include trivia nights, live music performances, and events held in collaboration with local charities and community organizations. The brewery is also the host of an annual Collabofest in March, which highlights limited-release collaborations between 16 local breweries. 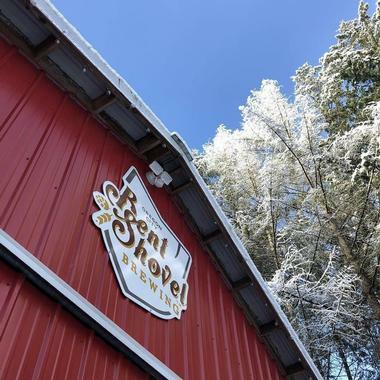 Bent Shovel Brewing is part of Oregon City’s up-and-coming brewing scene, hidden away in a retrofitted barn near the Clackamas River. The brewery is open on Friday, Saturday, and Sunday afternoons and evenings for pints, growler fills, and socialization, with patio seating available for visitors of all ages. 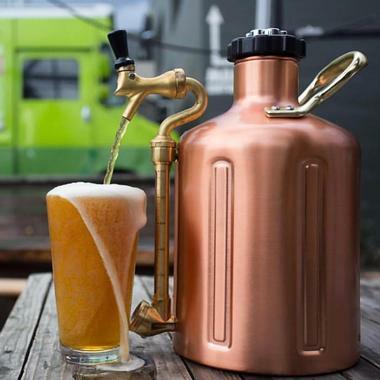 Flagship brews by the company include its Leafwalker Red Ale, a homebrew recipe originally created by brewery founder Rick Strauss, and its Winding Road Amber Ale, a mild brew recommended for new beer fans. Other regular brews include its Black Spade Stout, Namesake Belgian Dark Strong Ale, One Wagon Pilsner, Uncle Johann Vienna Lager, and CiPinON, Payloader, TreMo, and Skidsteer IPAs. © Block 15 Brewing Co.
Block 15 Brewing Co. began serving their craft beers at their brewpub in downtown Corvallis in 2008 and has since expanded to three separate facilities, including their original restaurant, their brewery and taproom, and the European-style Caves Bier and Kitchen restaurant. The brewery focuses its production on hop-heavy ales and lagers, barrel-aged brews, and an extensive sour and wild beer series, one of the largest of its kind in the Pacific Northwest. Standard brews available include the brewery’s Gloria Unfiltered Pilsner, Nebula Oat Stout, Print Master’s Pale Ale, and the unique Northwest-style Alpha IPA, which features four kinds of Pacific Northwest hops. Seasonal artisanal and barrel-aged brews are also available periodically at bars and restaurants throughout the Oregon region. 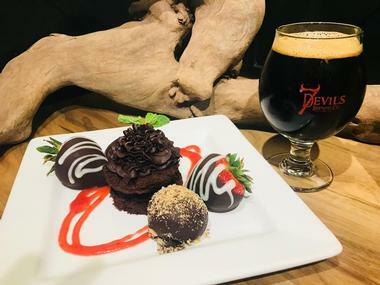 16 beers are tapped at the brewery’s main restaurant, which serves locally-sourced pub fare blending traditional and contemporary recipes and offers a game room with darts and shuffleboard. Boring Brewing Co. is named for its hometown, but promises anything but boring brews on tap at its nanobrewery and tasting room. The brewery focuses on small-batch handcrafted beers crafted in a variety of classic European and American styles. Pints and to-go growlers, crowlers, and kegs are sold at the tasting room, which also serves light fare such as panini sandwiches, antipasto plates, and cheese fondue. Standard and seasonal brews include the brewery’s Haley Road Farmhouse Ale, which highlights strawberry flavor notes, its Blackberry Hefeweizen, a collaboration with nearby Shoug Brewing, and its flagship Boring Brown Ale, Big Yawn IPA, and Partigyle and Old Alzy English Mild Ales. 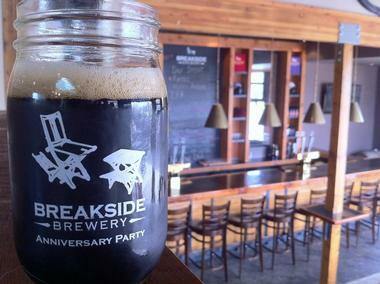 Breakside Brewery is known for its innovative beers that push the boundaries of technique, featuring experimental styles and diverse flavor profiles. The brewery was named as the 2017 Brewery of the Year by both the Oregon Beer Awards and the Best of Craft Beer Awards. Three locations are offered throughout the Portland region, including two brewpub restaurants in East Dekum and Northwest Slabtown that offer full-service menus featuring contemporary American fare. Year-round brews include the brewery’s flagship Stay West, Wanderlust, and Breakside IPAs, its Lunch Break India Session Ale, and its Passionfruit Sour, while limited-edition offerings include its cocoa-flavored Breakside Stout, herbal Wisco Tavern Beer, and chili-spiced Toro Red Ale. Tastings and tours are also offered at the brewery’s Milkwaukie brewery and taproom, which showcases 24 rotating taps. Brewers Union Local 180 is Oregon’s only real ale brewpub, emphasizing the spirit and style of classic British public houses. The pub is located in Oakridge, which is completely surrounded by the splendor of the Willamette National Forest. All of the brewery’s ales are served straight from the fermenter, with six cask handpulls offering rotating options from the brewery’s regular lineup. Six taps also showcase other local craft offerings, including a consistent gluten-free cider option. A full-service menu of standard brewpub fare is offered until 9:00pm, with children allowed throughout the restaurant until the kitchen closes. A small billiards room is offered, along with a music room showcasing live music sessions from local musicians. Other regular public special events include Scrabble Madness events and open mic sessions for musicians, storytellers, and poets. 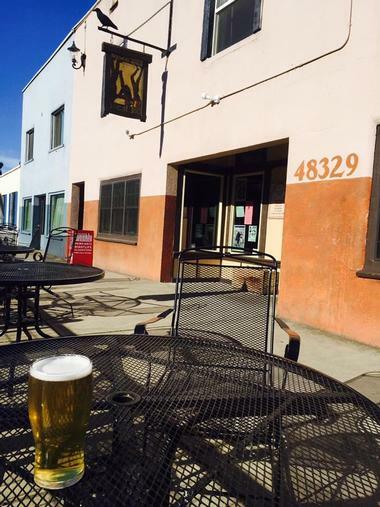 Bridge 99 Brewery was the vision of Bend citizens and former carpenters Rod Kramer and Trever Hawman, whose hobby for homebrewing resulted in the creation of an eco-friendly brewery and taproom striving to produce highly drinkable microbrews. The brewery’s name is derived from local landmark Lower Bridge, which traverses the Metolius River and is colloquially referred to as Bridge 99. 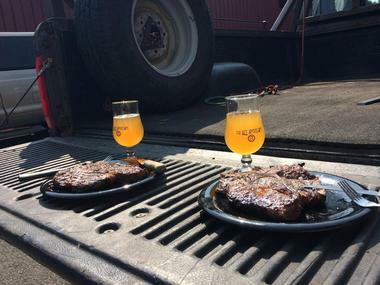 Hops for the brewery’s beers are provided from the local Tumalo Hop Company, and all overflow and used ingredients are given to a local ranchers for reuse. 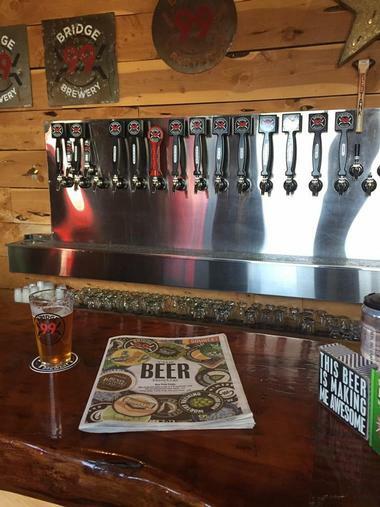 Popular beers at the brewery include its Wizard Falls Northwest-style IPA, its Rock Crawler Red Ale, its dessert-flavored Bull Trout Stout, and its triple-hopped Pulaski Session Ale. Special brews include a barrel-aged imperial porter and red ale, an experimental IPA series, and collaborations with other local breweries. 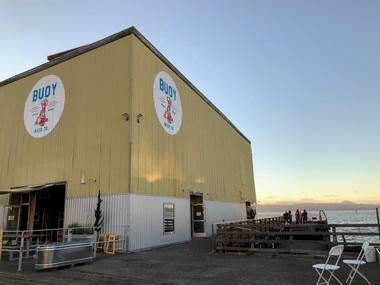 Buoy Beer Company is a certified independent brewery through the Brewers Association, opened by Astoria entrepreneur Luke Colvin and brewmaster Dan Hamilton. The brewery is housed within the former Calvin family cannery building and offers a taproom and brewpub restaurant serving a variety of contemporary coastal dishes emphasizing locally-caught seafood. Its name is a reference to the mighty nearby Columbia River, which flows into the Pacific Ocean and has been a central factor in the region’s modern development. Popular beer styles brewed include a Helles German lager, a Czech-style pilsner, a Northwest-style red ale, and an American pale ale. Seasonal and specialty brews offered include a Midnight Harvest dark saison, a single-hop IPA, and a Summer Slam blonde sour ale. Caldera Brewery and Restaurant was the first American West Coast craft brewery to can its own beers, a system implemented in 2005 that has sparked a distribution revolution throughout the industry. 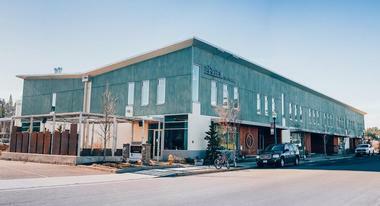 The international award-winning brewery opened its 28,000-square-foot brewhouse restaurant in 2010, which offers a 30 bbl capacity brewhouse and serves dishes such as artisanal wood-fired pizzas. The restaurant showcases the state’s largest beer can and bottle collection and taps 45 of the company’s beers, rotating a variety of seasonal and limited-release offerings. Popular beers include the brewery’s Lawnmower Lager, Ashland Amber Ale, Pilot Rock Porter, and Hop Hash and Hopportunity Knocks IPAs. A variety of barrel-aged options are also available. 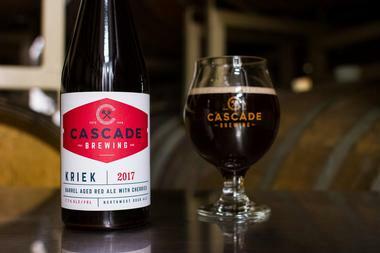 Cascade Brewing Barrel House was a pioneer of the Pacific Northwestern sour beer movement, offering beers produced within more than 1,400 barrels within the brewery’s blending house facility. The artisanal brewery has received a perfect score of 100 from Beer Advocate and has been honored with a number of awards at the Great American Beer Festival. More than two dozen rotating taps are available at the brewery’s barrel house in southeast Portland, including the brewery’s Melonious Blonde Ale, Cascade and Summer Solstice IPAs, Brightwork Pale Ale, and a wide variety of sour ales with fruit and herbal flavors. Cask ales, nitros, and Blenders Reserve taps are also available, along with pub fare highlighting ingredients from local farms. Culmination Brewing was founded by master brewer Tomas Sluiter and emphasizes sustainable manufacturing and brewing practices in its craft beer production. Pints and growler and crowler fills are available at the brewery’s taproom and restaurant, which showcases a wide variety of the company’s brews, including its Backseat Freestyle triple IPA, Rauch Helles lager, Kern’s Red Ale, and Shiso Wit. Specialty brews and limited releases include the brewery’s Water Into Barleywine, ginger and lemon-flavored Sun Rey Tea Radler, and Native Oregonism, a collaboration with Ale Apothecary. A seasonal menu also offers locally-sourced fare from local companies Jackfruit and Bhuna Kitchens. 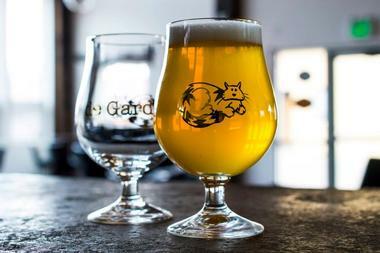 de Garde Brewing is a “truly wild” brewery, offering a wide variety of experimental barrel-aged brews made with natural yeast and microflora. The Tillamook brewery serves naturally-conditioned bottles to go of all of its limited release beers at its taproom, which is open Thursdays through Sundays. Past brews have included the brewery’s Boysenberry, Purple Kriek, Maison, and Pinot Noir-style Archer beers. Well-behaved pets are permitted at the brewery’s patio, though minors are not allowed on the premises. An annual Keepers Membership allows access to exclusive members-only beers, custom licensed glassware, and personal guided tours of the company’s onsite brewing facilities. The Ale Apothecary is a vintage-batch oak-barrel brewery using wild and open fermentation practices to create unique brews emphasizing local ingredients. The brewery was established in 2011 by a group of Bend brewers and distributes beer today throughout the Portland and Corvallis regions. Hops and malts for all the brewery’s beers are locally sourced, with water sourced from a glacier snow melt aquifer. Brews offered include the brewery’s Sahalie, la Tache, el Cuatro, Sahati, and Ralph mixed fermentation ales. Though the brewery’s main facility is not open to the public, its taproom offers tastings and sales Thursdays through Saturdays in the afternoon and evening hours. An annual ale club allows access to exclusive brews and events. Upright Brewing’s name is a reference to musician Charles Mingus, with the company taking its brewing philosophy from the musician’s defiance of style and classification. The brewery is located within the basement of Portland’s historic Leftbank building and is open to the public Thursdays through Sundays for drafts, tastings, and to-go sales. Year-round brews include the brewery’s Saison Vert, Supercool IPA, Engelberg Pilsener, Pathways Saison, and tasting room exclusive Four Play. Many beers are open fermented and bottle conditioned, including small-batch seasonal beers available in limited release. Live music is showcased most Sundays, and artwork from local Portland artisans is on display throughout the taproom. 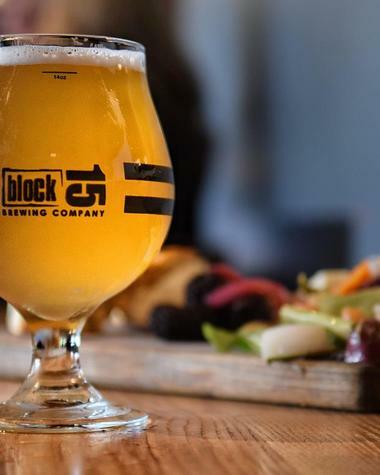 7 Devils Brewing Co., Photo: 7 Devils Brewing Co.
Block 15 Brewing Co., Photo: Block 15 Brewing Co.
Boring Brewing Co., Photo: Boring Brewing Co.